PSU specialist Seasonic has launched a new range of PSUs called the Prime Series. The new lineup includes 80 PLUS Titanium, Platinum and Gold rated units. Seasonic promises that whichever model you choose you will receive "excellent electrical characteristics, top-level components and fully modular cabling". The firm goes as far as saying that the new Prime Series shows its determination to "push the limits of power supply design in every aspect". Seasonic's Prime 80 PLUS Titanium PSUs will be available in the range of 650W to 850W. These PSUs achieve 94 per cent efficiency at 50 per cent system load. The Platinum and Gold rated units will be available in the range of 850W to 1200W. 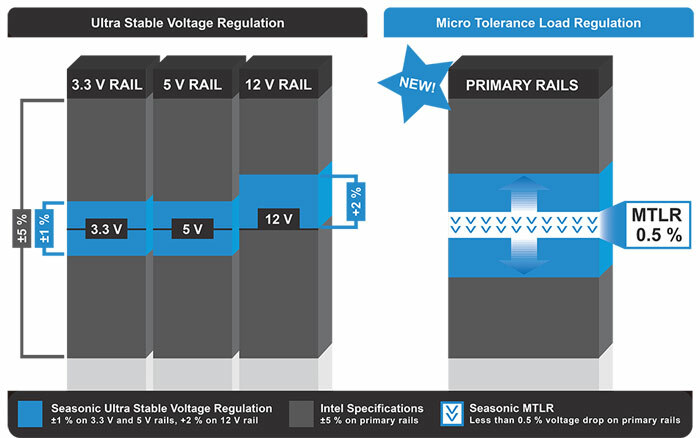 Micro Tolerance Load Regulation (MTLR) is trumpeted as a key design feature of the new PSUs. This design is said to keep the output voltage within a very tight range, with under half a per cent load regulation – great for stability in high performance systems. Further stability is achieved thanks to the design providing extended hold-up time (30ms), which beats the industry standard 16ms to help the PSU provide stable, precise output to your PC's vital components. Seasonic also implements Super Low Ripple Noise (below 20 mV). The Seasonic Prime PSUs use a 135mm Fluid Dynamic Bearing fan for cooling. These fans are characteristically quiet, smooth running and have a long service life. Enhancing the cooling system is Seasonic's Premium Hybrid Fan Control, keeping the fan noise to a minimum whatever demands are placed upon your PSU. It is obvious from the pictures that this is a fully modular power supply range. Interestingly, removing unnecessary cabling goes as deep as the inner product design. Seasonic says that its engineers have connected the PSU back panel and the PCB using copper plate rather than cables. "This breakthrough solution not only lowers the chance of production errors during manual insertion but it also improves output power quality," explains Seasonic. 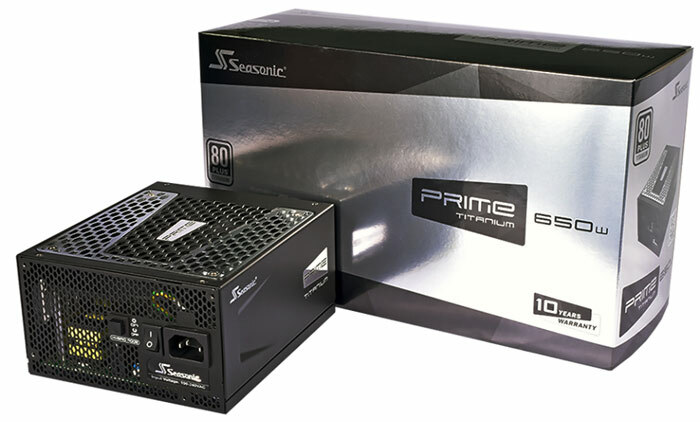 Buyers of the Seasonic Prime range of PSUs benefit from a 10 year warranty. At its Computex booth Seasonic was showcasing the new Prime range as well as PSU's in its Focus, Eco Plus and Air Touch ranges, as pictured above. i really like seasonic psu's and i'd be interested to see the pricing on these. very nice warranty too. I'm a fan (excuse pun) too. Usually, I go for Seasonic or Enermax due to (touch wood) having never yet been let down by one. PS. I just KNOW I'm going to regret saying that. Seasonics cables are annoyingly short. I have a mini-ITX chassis for one of my computers but the SATA are fart oo short to go round the back. I've just had to dump them in a pile. With my larger case below, all the cables except the main 24pin one have to go round the front, but to be fair in this chassis they would have to be exceptionally long to go round the back and in between each disk in the way that I want them. They also don't bend or flex very well making the SATA power cables difficult to plug in when disks are immediately next to each other. It can also leave a large loopy bit in the way of the side panel. I wish you could choose the type of cables in a modular design. I.e. 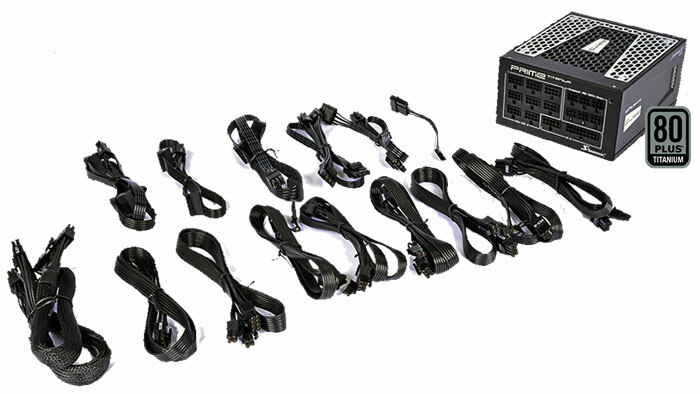 buy a PSU without cables, then add a cable pack. I'd go old school every time, longer and more flexible, yes they looked horrible but I don't look at the insides unless I'm working on it. Silverstone did (may still do) a short set for their modular PSU's for an ITX build. I'm a fan (excuse pun) too. Usually, I go for Seasonic or Enermax due to (touch wood) having never yet been let down by one. PS. I just KNOW I'm going to regret saying that. Agree. I'm still using an Enermax Liberty 400w which, in theory, should have been upgraded years ago. Never got around to it. It just sits there and works. If the Enermax dies tomorrow which, as you imply, it probably will, I'll probably go for a Seasonic. A 10 year warranty is very appealing. I also like AGTDenton's comment about buying a PSU without cables.